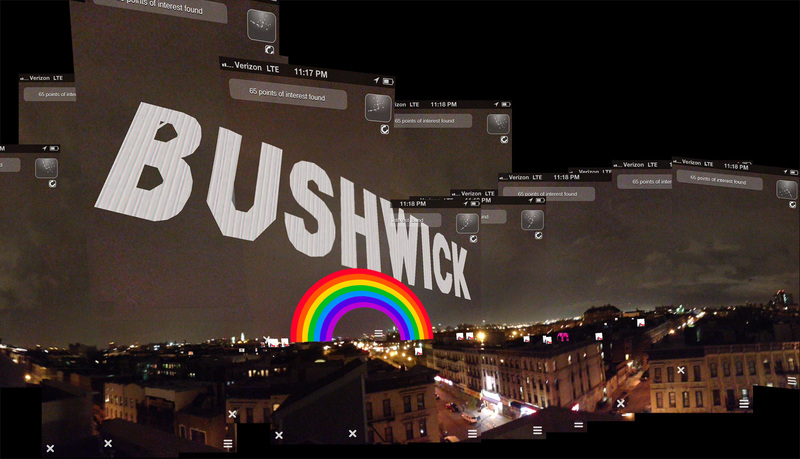 POSTED BY: Mark Skwarek | Tue May 21st, 2013 5:50 p.m.
"The Bushwick AR Intervention" is the 1st and longest running augmented reality art intervention. Artists from around the world will overtake the city of Bushwick, NY with augmented reality art works for the 2013 Bushwick Open Studios. The event takes place during the Bushwick Open Studios. Bushwick, Brooklyn is known as the capital or birthplace of mobile augmented reality art. The Bushwick AR Intervention is organized and hosted by the thin air gallery. at the corner Bogart and Boerum St.
Info will be posted on the thin air website. The event is seen with augmented reality and a smartphone. Information on how to load the free mobile app will be provided on the show website. ***You must go to the Bushwick Open Studios to see it.